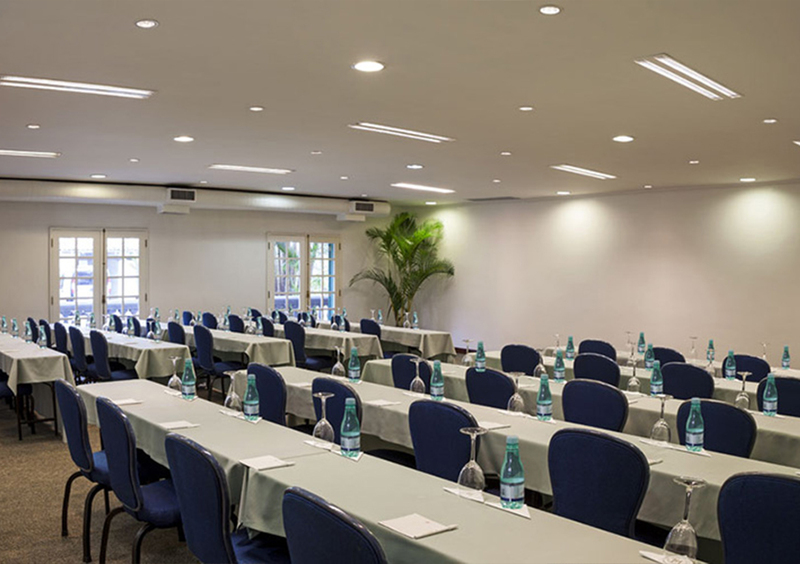 In a total area of 9,000m², the Casa Grande Hotel’s Exhibition Spaces and Convention Rooms Complex provides all the services, versatility, convenience and infrastructure that your events require. 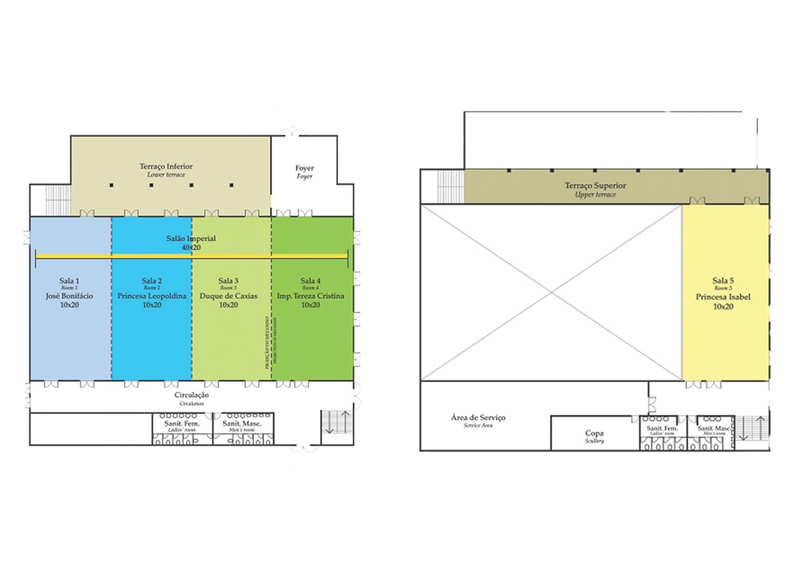 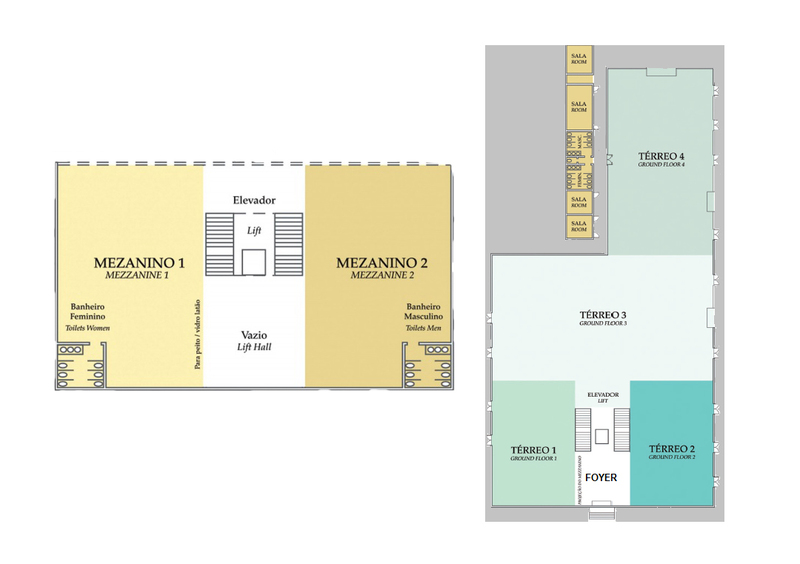 Area of 1,400m2 that is divided into five independent halls that can be integrated to adapt to any size and type of event. 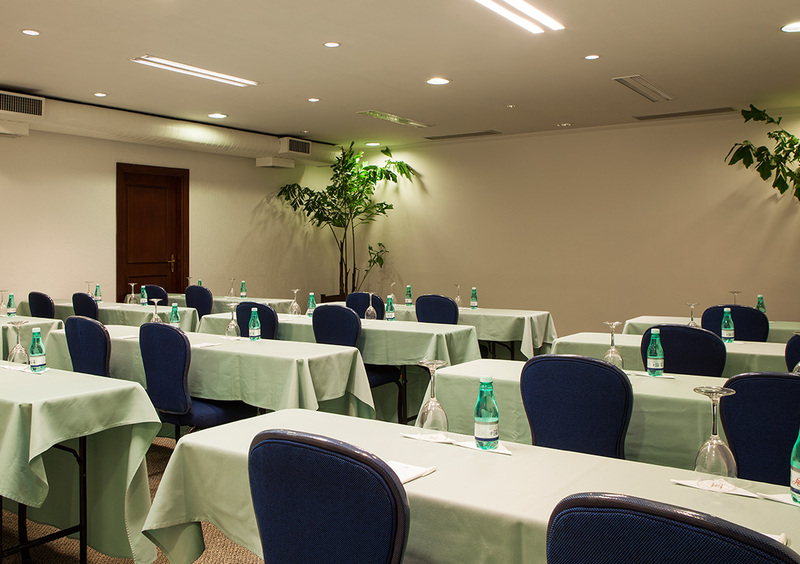 Each hall has an area of 200m2, all equipped with projectors, big screen and high-speed Wi-Fi internet. 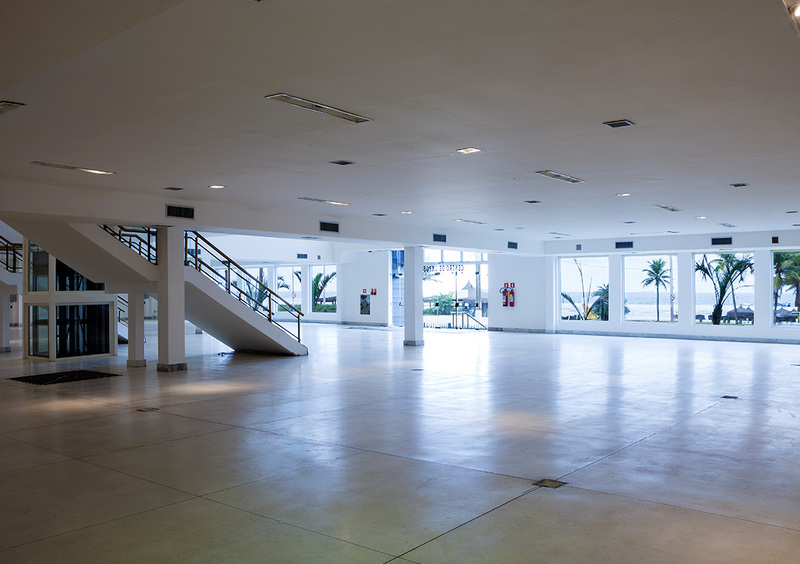 Completing its structure, the Convention Center has a large terrace with a view to Enseada Beach, ideal for pauses, cocktails, coffee breaks and relaxing moments. 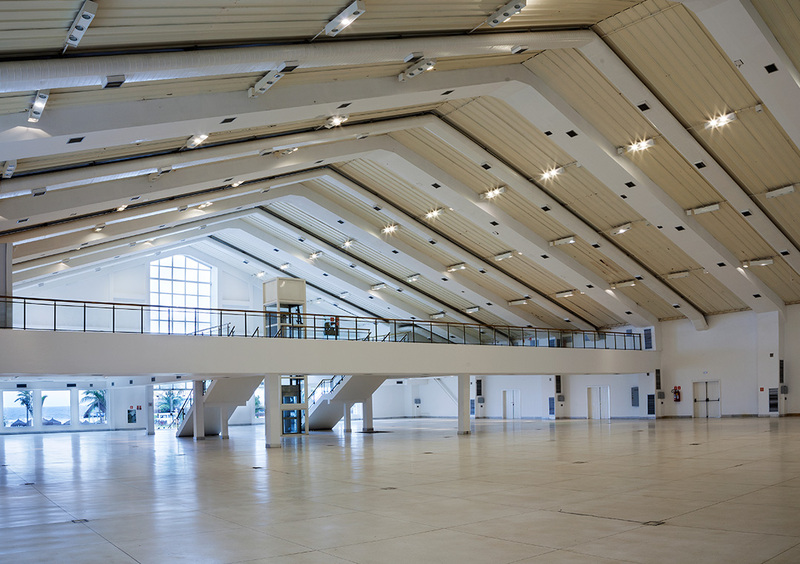 Magnificent space with 4.000m2 and right foot ranging from 6 to 14 meters, has a ground floor of 3.000m2 and mezzanine of 928m2, this large space by the sea is equipped with panoramic elevator, air conditioning system and automated lighting project, being ideal for fairs, shows, congresses and conventions. 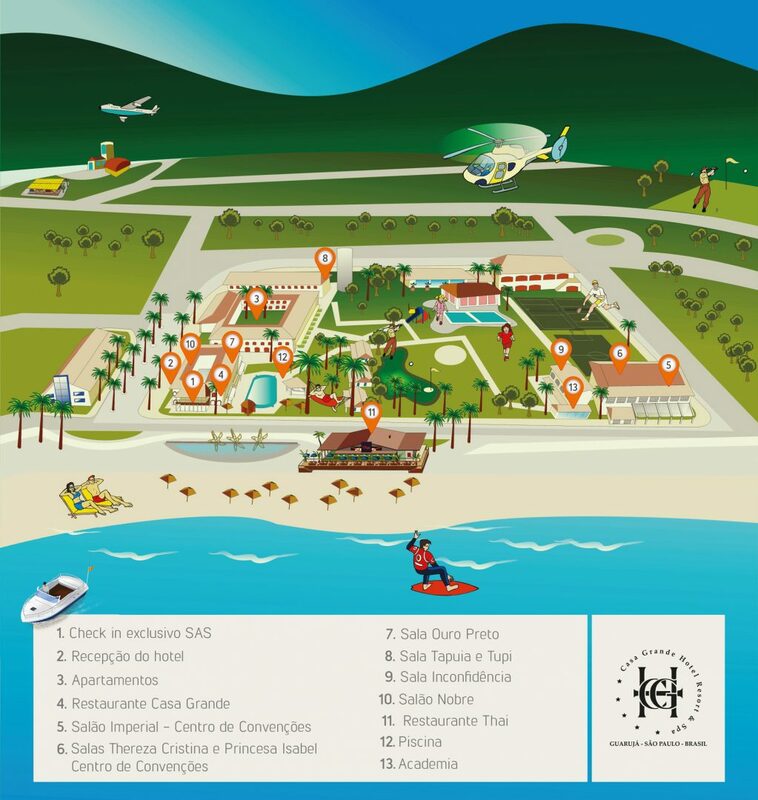 Flanked by a beautiful boulevard with fountains and palm trees, facing the Enseada Beach, unique space on all Brazilian coast. 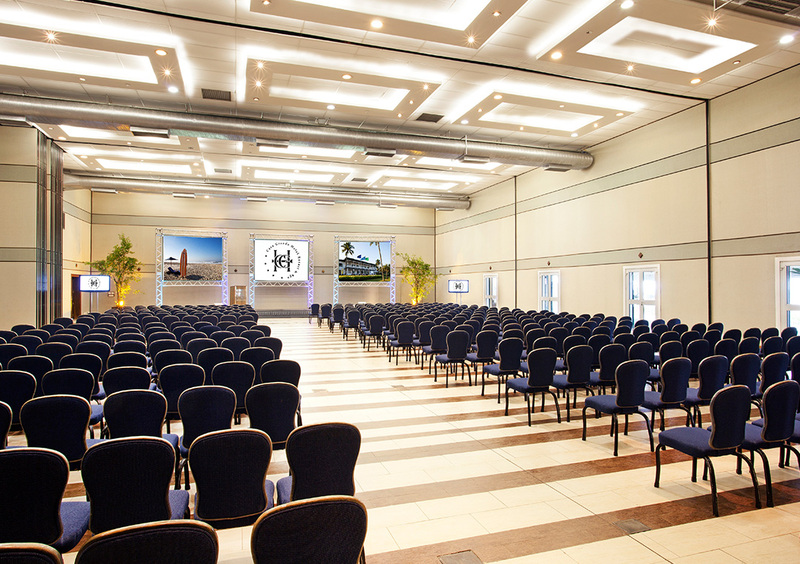 The Nobre Hall is460m² big and holds up to 450 people in auditorium format, and can be divided with acoustic partitions, creating 2 rooms 230m² big. 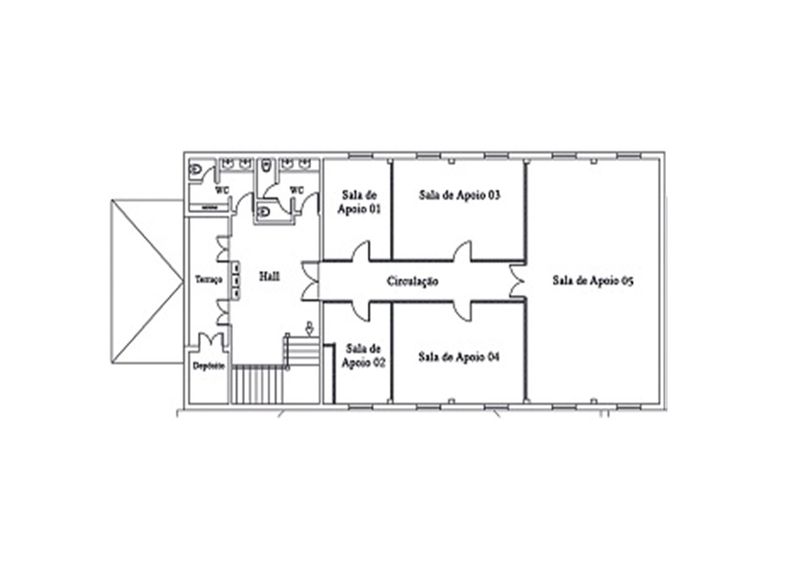 It has a sea view and a terrace of 190m². 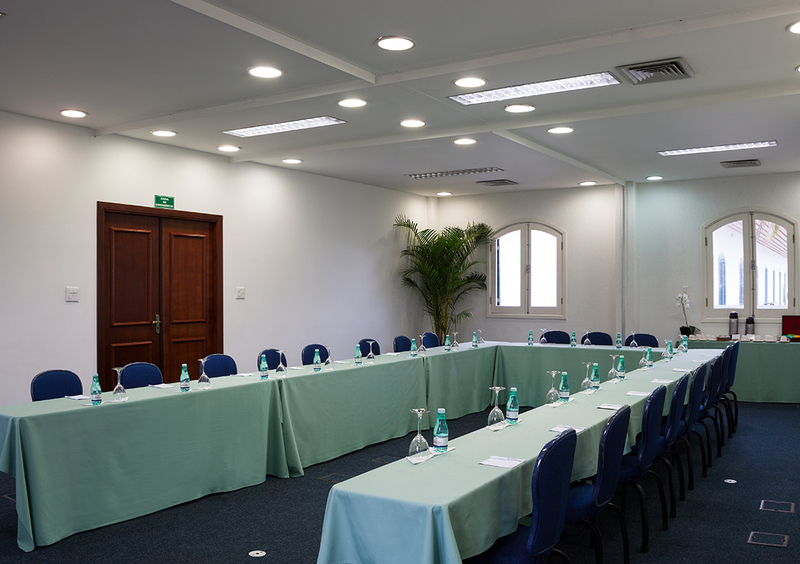 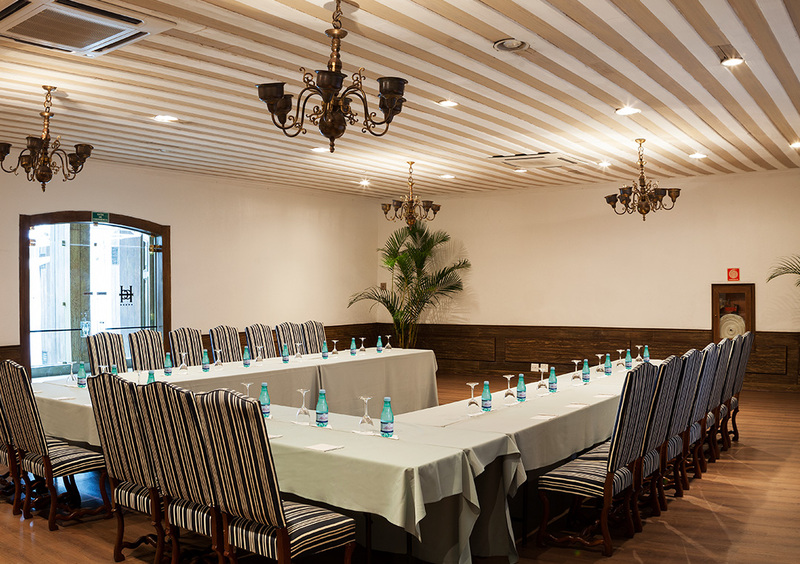 The Ouro Preto Hall with 110m² accommodates up to 80 people in auditorium format, located in the noble area of the hotel, on the upper floor. 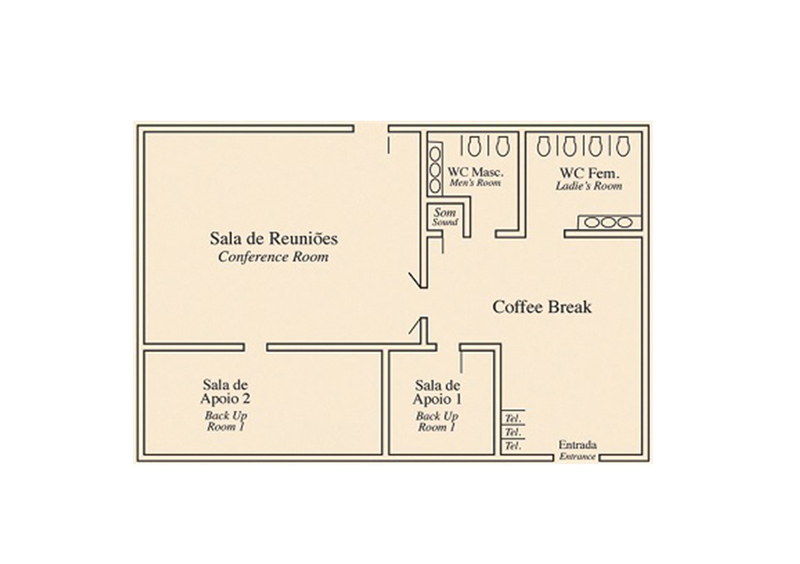 The Tupi Hall has 126m² and accommodates up to 120 people in auditorium format, has exclusive coffee break space on the ground floor. 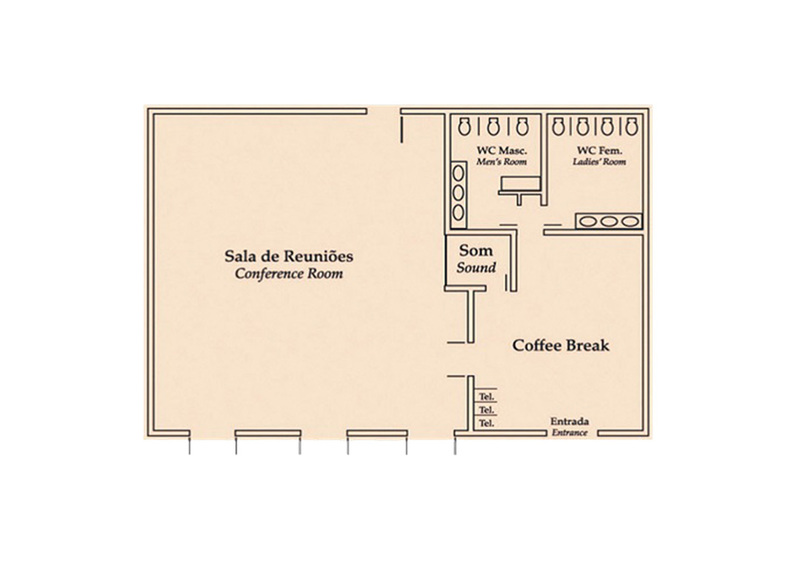 The Inconfidência Hall has an area of 154m² divided in 05 rooms next to the Convention Center, with space for exclusive coffee break. 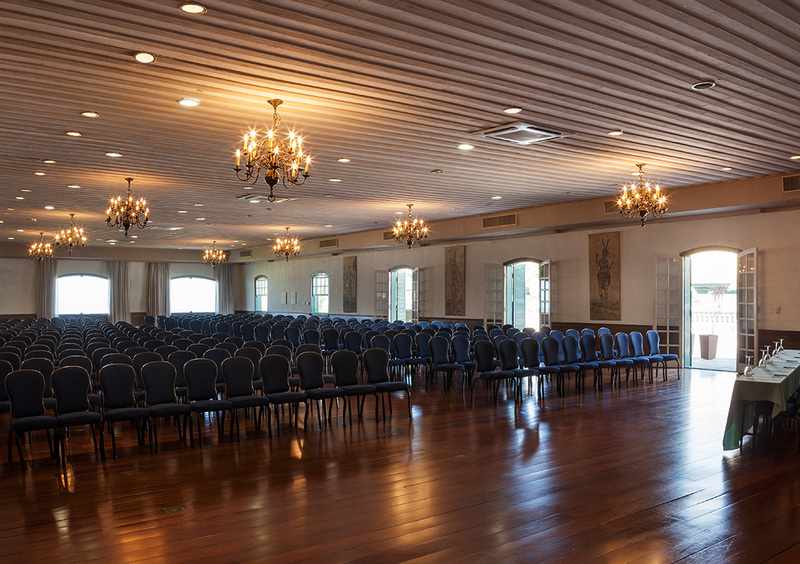 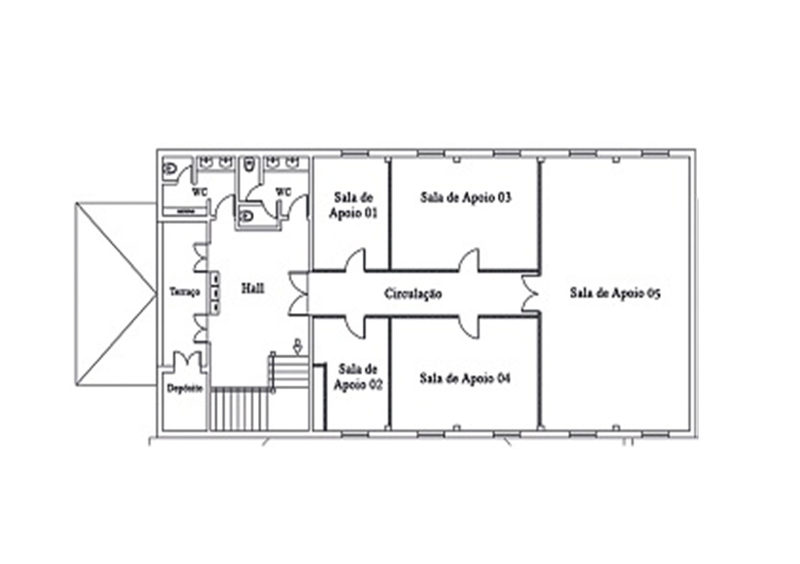 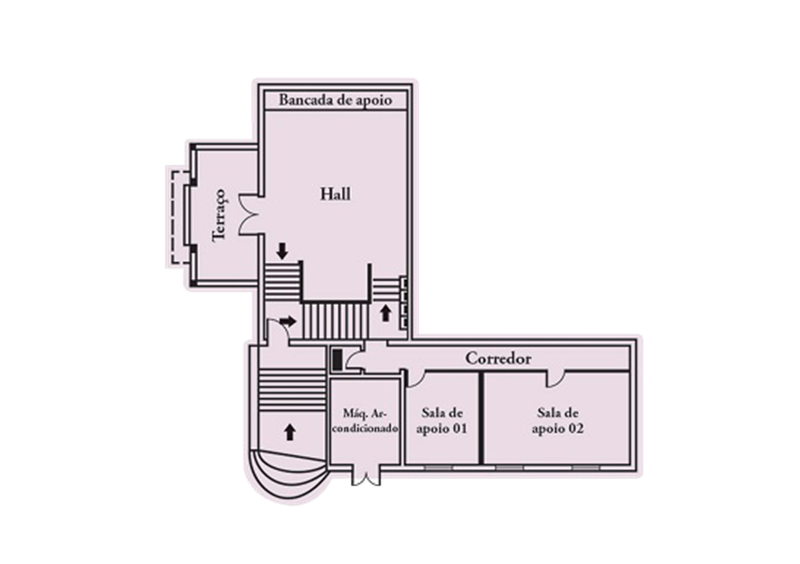 Tiradentes Hall has 25 m² with 02 rooms that can hold up to 20 people in an auditorium format. 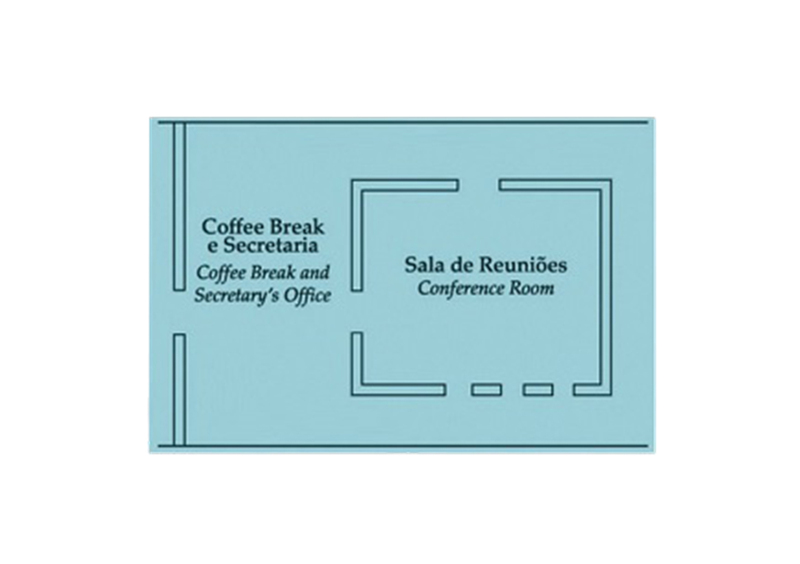 It has exclusive space for coffee-break. 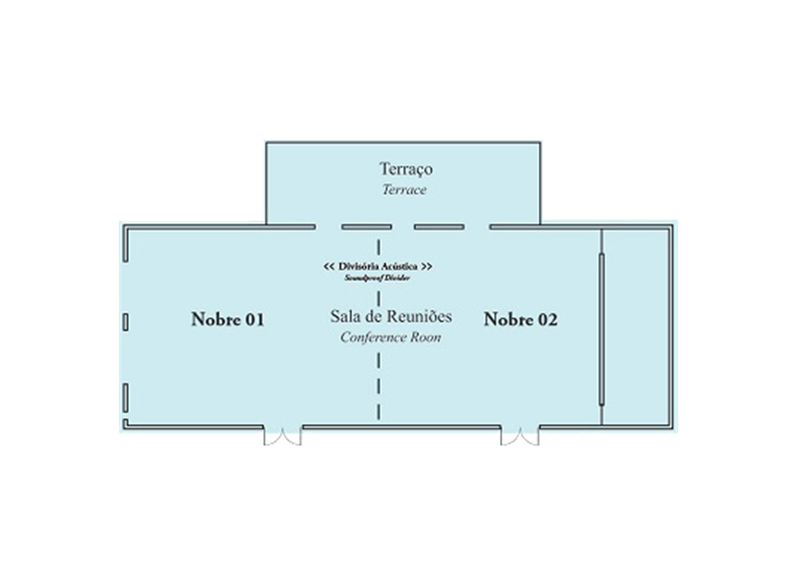 A beautiful space of 125m² with a terrace of 91 m² facing the sea, ideal for small meetings and cocktails.